Is the IRS threatening to take everything you own, garnish your wages or seize your bank accounts? A tax controversy with the Internal Revenue Service (IRS) can take a business or individual through complicated and challenging stages: administrative audits, appeals, post-appeals mediation, and litigation in federal court. We can help you negotiate with the IRS to obtain an Offer In Compromise and Installment Agreements, and resolve issues involving Innocent Spouse Relief, Trust Fund Recovery Penalties, and much more. Don't try and take on the IRS alone; call and let us handle the matter for you. If you have crushing financial burdens, are behind on your mortgage payments, or in foreclosure and being harassed by bill collectors, then declaring bankruptcy might be your answer? Filing bankruptcy can reduce or eliminate your debts, save your home from foreclosure, and stop bill collectors from harassing you. And filing bankruptcy doesn’t mean you have to sell your car, your furniture, electronics, jewelry, or your home. Bankruptcy exemptions can allow you to keep some or all of your personal belongings and your home. We specialize in Chapter 7 and 13 bankruptcy and exemptions exist under both types. Bankruptcy law exists to help you get rid of unmanageable debt, leave your creditors behind, and make a fresh start. If you’re ready to free yourself from anxiety filled sleepless nights caused by overwhelming debt, then call for your free consultation. Let us guide you through the intricacies of the bankruptcy process. The death of a friend or family member may leave you wondering how to settle your loved ones personal and financial affairs, and wondering whether probate is necessary. The pain of losing a loved one is on its own enough of a challenge. Adding the complexities and frustrations of probate on top of it is simply too much. Whether probating a will or dealing with inheritance issues, we can settle your loved ones estate. No matter what your bank tells you, don’t try obtaining a loan modification by yourself! You most likely don’t have the time and skill it takes to complete the process and obtain the modification. Sure, anyone can fill out the application, but the game begins after the application is submitted to your lender. Obtaining a loan modification can be a complicated process, even for lawyers. We Specialize in applying for loan modifications immediately after the bankruptcy petition is filed. We can help you obtain the modification. Henry’s office is located in Philadelphia. 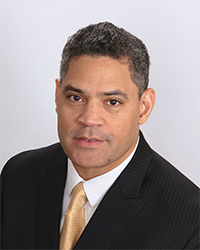 He was born and raised in Philadelphia, is licensed to practice law in Pennsylvania, and received his J.D. from Duquesne University School of Law in 1995. Henry was a law clerk for the Honorable Brenda J. Hollar in the Territorial Court of US Virgin Islands. He has also successfully organized, owned and operated several small businesses. Prior to starting his law firm, Henry spent five years working as a consumer advocate at Community Legal Services of Philadelphia — one of the oldest, most prestigious and effective providers of non-profit legal services in the country. While there, Henry spent countless hours saving consumers’ homes from Sherriff’s Sale by obtaining Loan Modifications and filing Chapter 13 bankruptcy. He frequently negotiated with lenders (in the Philadelphia Court of Common Pleas nationally recognized Residential Mortgage Foreclosure Diversion Program) to obtain Home Affordable Mortgage Program (HAMP) loan modifications. Henry was also a Contributing Writer to the following editions of the Urban Affairs Coalition Foreclosure Prevention Guide: Fall 2012 Edition, Section II, Home Affordable Modification Program (HAMP), pp. 23-25 · Winter/Spring 2012 Edition, Section II, HAMP, p. 25 · Fall 2013 Edition, Section II, HAMP, pp. 22-24; HAMP 2MP, pp. 25-26; HAMP UP, p. 27. The Guide is a resource for consumers to use as an outline to get a general understanding of the various HAMP loan modification programs. In addition, Henry was a Tax Research Analyst with H&R Block at their World Headquarters in Kansas City, MO. Henry worked on the Tax Change Analyst Team and with the “TIGERS” Group (Trusts, IRS Procedure, Gifts, Estates, Retirement, and State/local). Henry monitored six states for tax regulatory changes in Arizona, Hawaii, Indiana, Oklahoma, Pennsylvania, and West Virginia. He also provided H&R Block Franchisees, located across the nation, with tax research support for questions relating to Trusts, IRS Procedure, Gifts, Estates, Retirement, and State/local issues. Henry is a member of the American Bar Association, and the Philadelphia Bar Association. He served as a volunteer for Philadelphia VIP and the Low Income Tax Clinic at the Delaware Community Reinvestment Action Council. Henry is admitted to practice before all Pennsylvania State Courts, the United States District and Bankruptcy Courts for the Eastern District of Pennsylvania, as well as the United States Tax Court in Washington, D.C.
Give us a call or drop us an email, and we will get back to you as soon as possible. © 2014 JEFFERSON LAW, LLC, Inc.